A staycation is exactly what is sounds like- instead of jetting off for your holiday/vacation abroad you STAY at home! It's a great way to visit more of your own country and there are so many benefits to enjoy why not stay at home? In this post I will be talking about the UK as this is my home country and our archipelago of islands are really rather beautiful! I have only managed to explore a small part of the UK and I would love to discover more of it! There are so many benefits to a staycation, here are a few! Cheaper - Staying at home can often be cheaper than going away simply because you are not paying for things like plane tickets, car hire, currency exchange, etc.! Explore Your Own Backyard - As I previously mentioned my favourite part of a staycation is exploring the UK! There's so many beautiful sights to see and some really cool things to do! Take Your Pets- Sorry to keep going on abut Hetty the puppy, but if you are a pet owner then it is a huge benefit being able to take your pet with you on holiday! Easy To Plan - Staying in your home country can make it a lot easier to plan your holiday. It's easy to book things in your native language and it's easier to phone up and book! Scotland- As a Scot I have got to take the time to plug my beautiful country and would recommend St Andrews for the beaches and the great places to eat! If you want to read all my Scottish posts you can do that here. Devon / Cornwall - Down South (as we would say in Scotland) is really beautiful, and has far better weather! If you think about it, Devon and Cornwall are actually closer to France than Scotland- no wonder the weather is so good there! Devon and Cornwall are such great locations for a staycation that according to a recent survey by Parkdean Holidays found that 45% of South Westerners would rather stay local on a holiday! If that's not a reason to visit I don't know what is. Things to do there include: Blackpool Sands in South Devon, Coverack fishing village in Cornwall, The Eden Project and St Michael's Mount in Cornwall. The Lake District - If you saw my post on the Lake District (here) you will know how much I enjoyed going out on Lake Windermere! This post is in collaboration with (although not sponsored by) Parkdean Holidays and they are offering YOU the chance to win a Parkdean holiday for you and your family! All you have to do is click here! The competition closes on the 4th of September so make sure you enter soon! Parkdean Holidays have 24 holiday parks across the UK including 14 in the South West, so you could stop and check out Devon / Cornwall and all they have to offer. One thing that you must do is stop for Afternoon / Cream Tea- you know that I love a good scone and cake stand full of goodies! Have you entered the competition below? 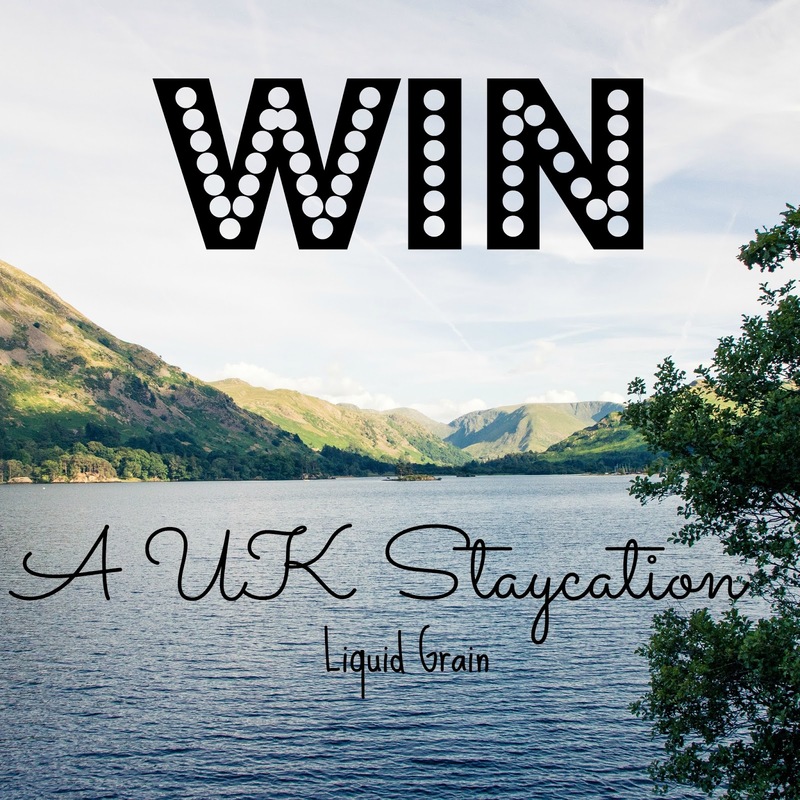 Leave me a comment down below with your favourite location for a staycation and GOOD LUCK!